Read it in 1 day! Move over Hunger Games and Divergent, I think I have a new favorite dystopian novel! 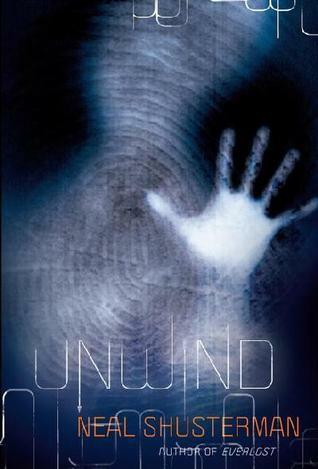 Neal Shusterman’s Unwind was amazing. Dark, deeply disturbing, but amazing. Brilliant, even. I really want to know where he got the idea for this story! Like the uber popular Hunger Games series, the concept behind this book was highly original. I mean, legalized abortion for kids between the ages of 13 and 18? Insane! The world that was crafted is deeply disturbing, so please don’t start reading this book thinking it’s a fluffy middle grades “Dystopian 101” level book. I have to take a moment and go off on a small tangent… When you read a great piece of fiction, it makes you think about a lot of things. I absolutely love when a book can challenge our views and opinions on controversial topics in ways that seem unimaginable and horrific. You can truly explore the dark psyche of human nature through literature, even when people are scared to express the ideas or views openly. That is great literature! So, thank you Mr. Shusterman for this book... even if others think you’re demented for creating the concepts that haunt the pages of Unwind. One of the things that makes this book so amazing are the characters. They are very complicated. Each of the main characters have been chosen for “unwinding” (i.e. a form of legalized abortion during the ages of 13-18) without their concept. Connor is a troubled youth. He’s not breaking laws, but he doesn’t do anything to make his parents’ lives easier. Bad grades, bad attitude, bad future: Perfect candidate for unwinding. Except Connor is not okay with that decision. He realizes that he wants to live. His life is his to control. Risa has the unfortunate circumstance of being an orphan. State budgets are tough and money has to be saved somewhere. Unwind. Then there is Lev. Raised as a tithe (yeah, that kind of tithe), he will be devoted as an unwind. Until Connor kidnaps him and messes everything up. I think Lev is one of the most interesting characters I have ever encountered. He starts off as this blind lamb willingly following someone else’s plan for his life. Then there is a series of very strange events that change him (not necessarily for the better). The person he becomes by the end of the book is so convoluted. His various transformations are interesting and certainly worthy of many discussions. 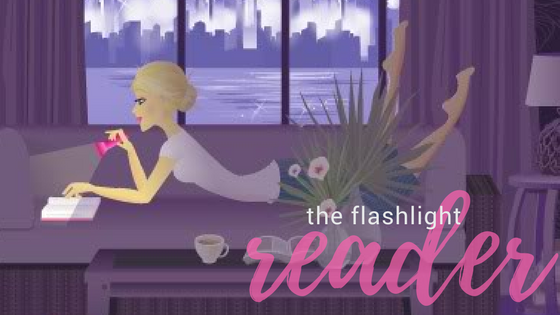 (Please read this book so we can discuss it!) I know the author intended this to be a stand alone title originally, but I am thrilled to hear that there is more of this story to come. I hope that we get more insight into Lev because I have so many questions that I need answers for! If you haven’t figured out the premise of the book yet, I’ll spend a bit trying to explain it. Basically, America’s final great war (called the Heartland War) was between two forces (Pro-Choice and Pro-Life) that just couldn’t reach an agreement. To stop further bloodshed, a third party (U.S. military) offered a solution to the age-long debate/war. The solution was unwinding. To make the Pro-Lifers happy, no one could get an abortion. All babies must be born and raised; however, you could choose to “unwind” your child from the time they turned 13 through his/her 18th birthday. The catch? Every single piece of the body has to be reused. (Yeah, think about that for a moment!) The military thought it was such a crazy idea that both sides would see the folly in their fighting and come to more peaceful terms. But you know that seldom happens when you’re dealing with politics. Both sides loved the idea! This is pretty thought provoking stuff, and that’s not even mentioning “the scene” near the end of the book. Good golly. It makes Saw IV look like an 80s Care Bear movie. There are no rainbows and unicorns in this one, folks. This is a dark read. The subject matter is disturbing, but it’s written with great skill and care. I do not think it’s suitable for younger readers because there is a fair amount of graphic violence within the book. Do I think this book should be read? Absolutely! It would be a disservice to your country to not read this book. (Ok, that might be a bit of an exaggeration, but it is a great book.) I really hope I get an ARC of book 2, Unwholly, before August. I would wet my pants if I did. I want to know what happens next! The anticipation is killing me. OMG!OMG! You mad chills run up my legs! I love that the teenage years is when you get to "unwind" a kid. Hey, what parent hasn't considered that at some time in their teens life! Awesome, awesome review. Off to order a copy right now! LOL... When I told my friend about this book (as I handed her the copy I bought for her to read to her students) she looked over at her 13 year-old son with deep contemplation. Then she said, "Lately, I can see that being tempting." hahaha But seriously, this book is amazing! Hope you enjoy your copy! Book 2 is even MORE spectacular.